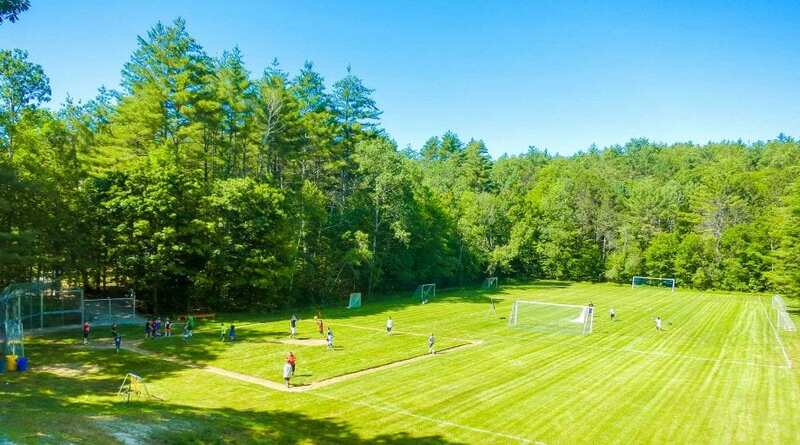 While we believe that it’s the people who define a camp, we think our outstanding facilities also go a long way in making Camps Kenwood and Evergreen the extraordinary place that it is. 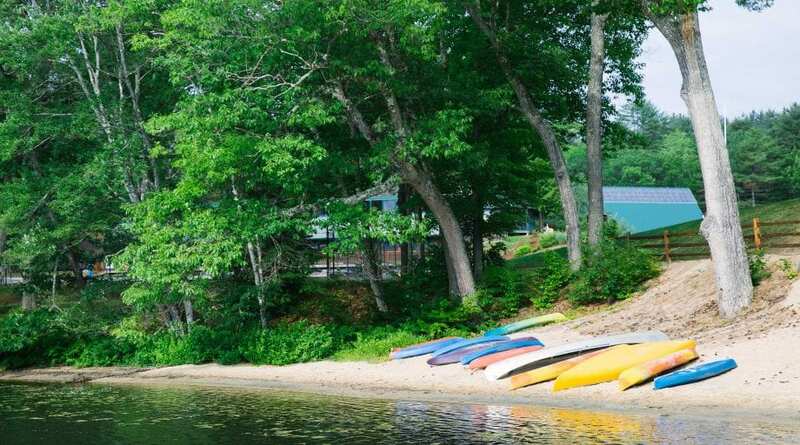 We have 230 acres of forest and fields, overlooking a half-mile stretch of private lake and beaches in New Hampshire. 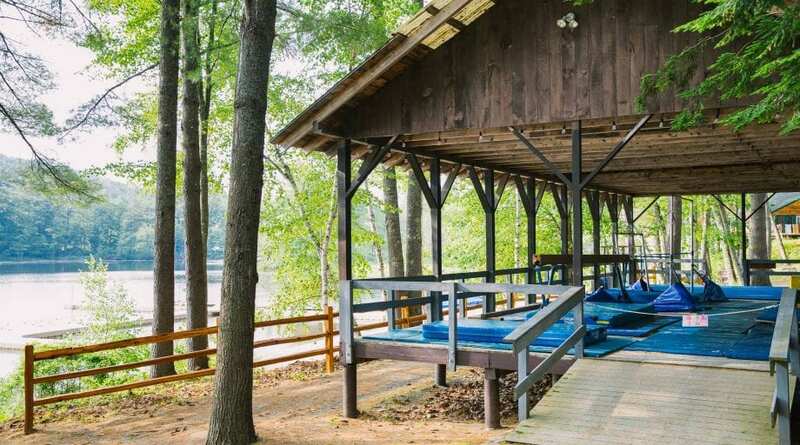 Kenwood and Evergreen is known throughout the summer camp world for having some of the most beautiful and comfortable living spaces. 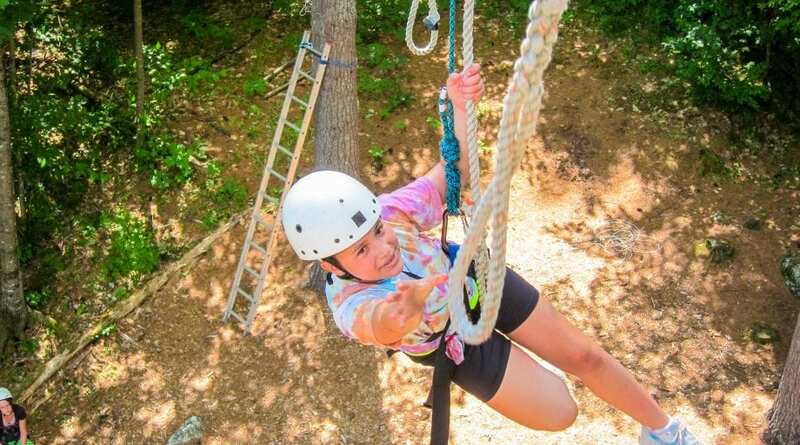 Learn more about Camp Kenwood’s Bunks or Camp Evergreen’s Lodges. 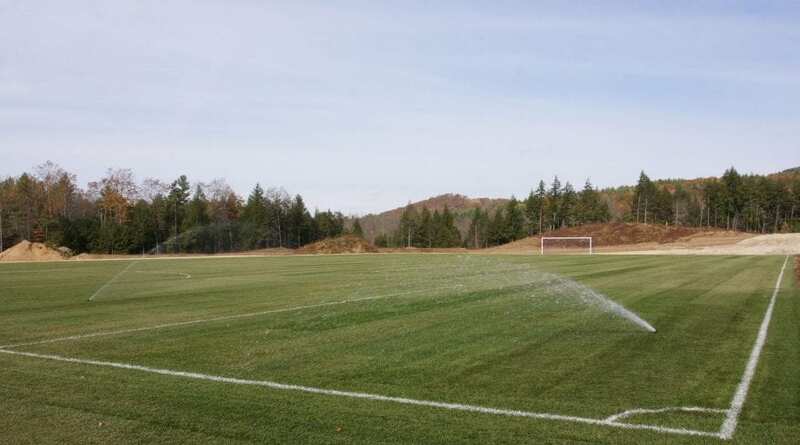 Our four soccer fields (including a new FIFA regulation field! ), three baseball diamonds, and 11 clay tennis courts are located throughout our campus. 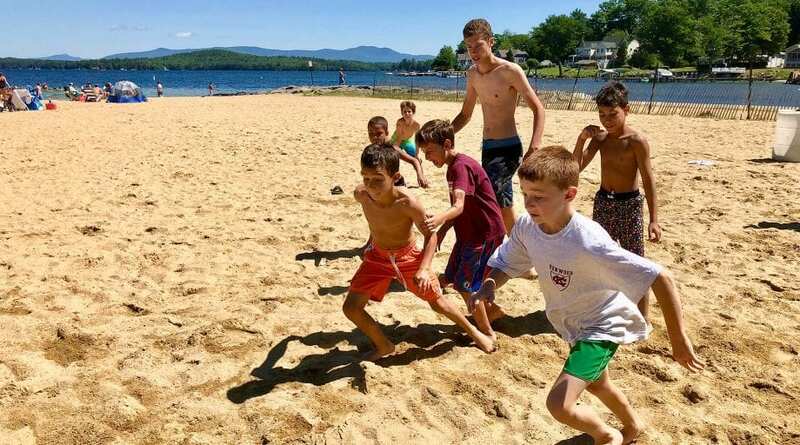 Campers receive quality instruction at every team and individual sports activity area from our nurturing and supportive staff. 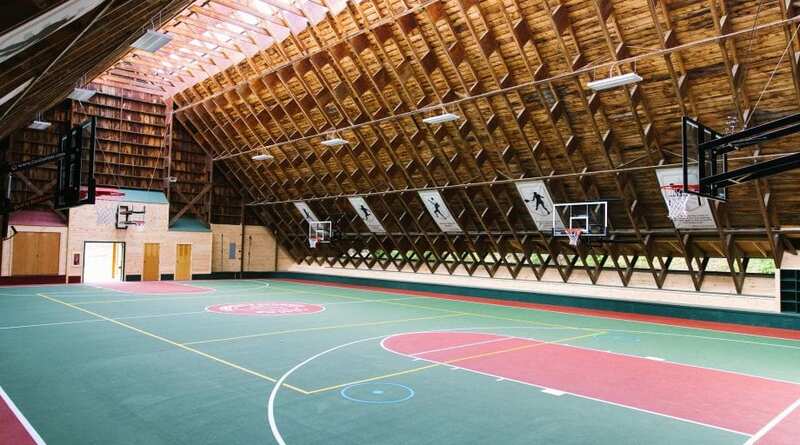 In 2018 we renovated our beloved gymnasium, home to our indoor street hockey and basketball courts, and also where we play volleyball and indoor soccer. 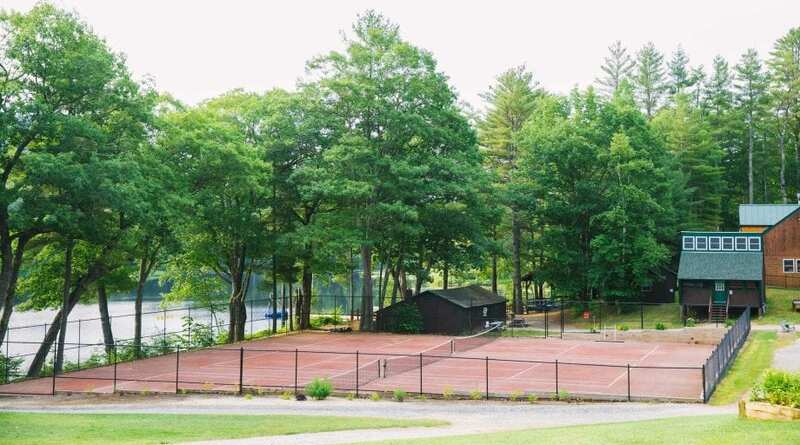 Our campus also has two beautiful outdoor beach volleyball courts, an open-air gymnastics pavilion overlooking our lake, and an outdoor basketball court. 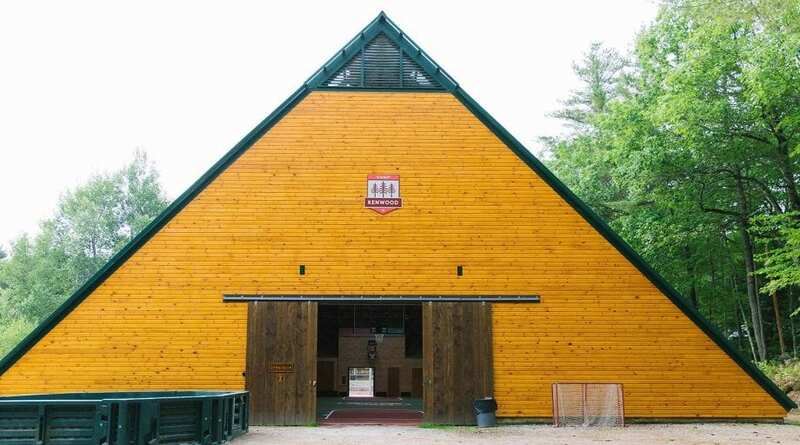 Our recently renovated archery range is one of our most popular program areas for campers of all ages. Children learn that success at archery comes not from running faster or being stronger, but from learning to concentrate and make careful adjustments to your form. 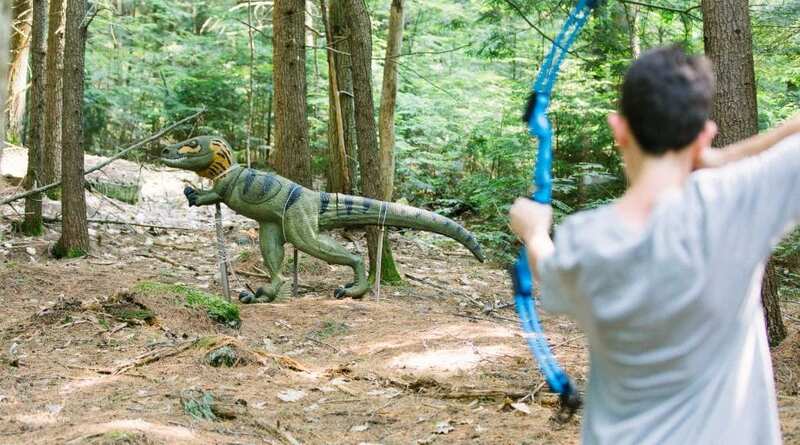 We have both a traditional archery range and our much loved 3-D experience that gives campers the opportunity to take aim at foam rubber dinosaurs and animals! 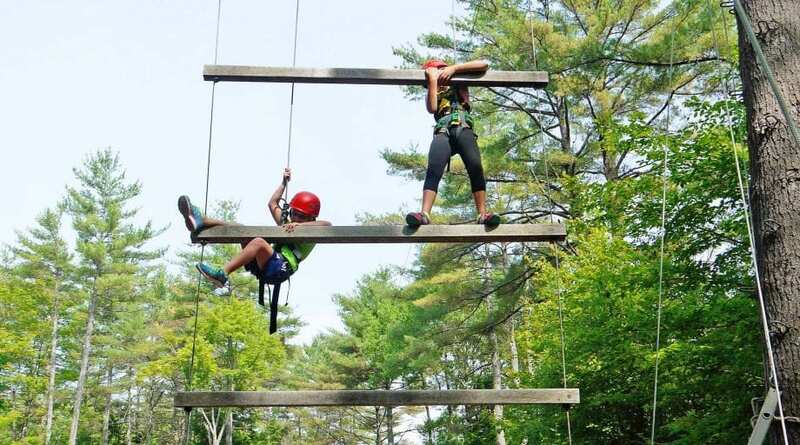 Our state-of-the-art challenge course features both high and low ropes course elements, with names such as the Giants Ladder, Burma Bridge, Pamper Pole, Nitro Crossing, and our Zip Line. 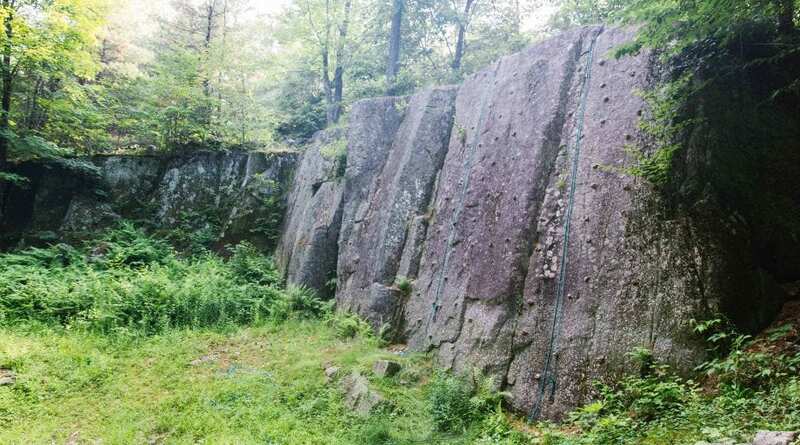 For campers interested in a different sort of challenge, we also have a 60-foot-tall real granite rock climbing wall. 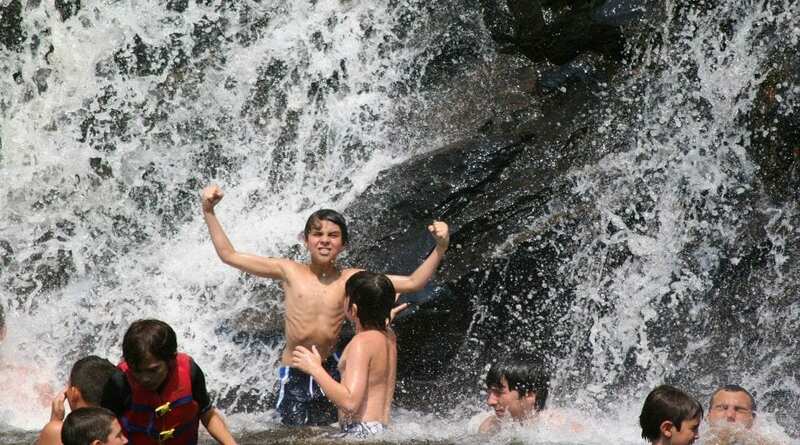 Individualized activities combine with team athletics to create a perfectly balanced summer camp experience. 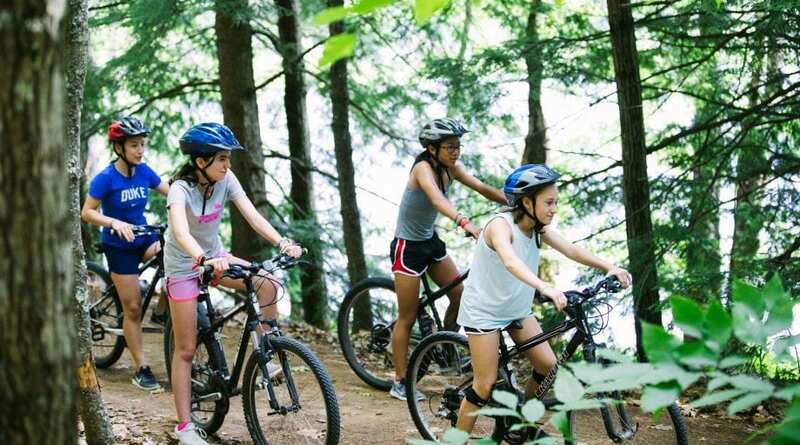 We are blessed with so many incredible natural resources in New Hampshire, including local waterfalls, underground caves, mountain biking trails, beautiful beaches and our own private lake. 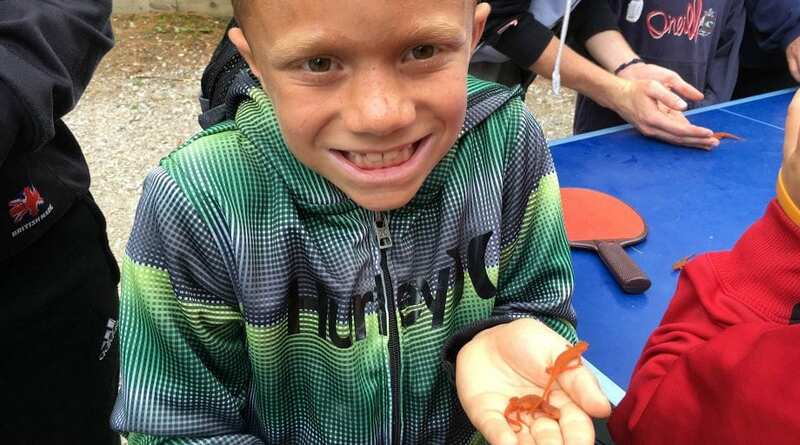 Part of the Kenwood and Evergreen experience is learning how to hike, fish, camp out and explore the natural world around us. 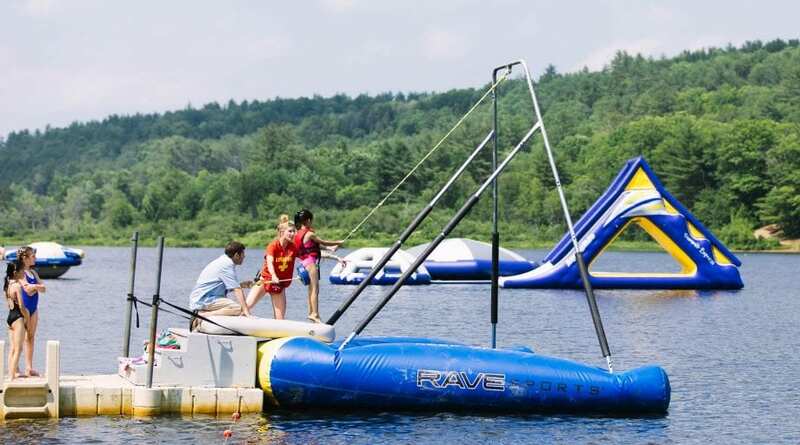 We have two beautiful beachfront areas on our private lake, along with a massive collection of fun inflatables to climb, swing, jump and slide on. Both waterfronts have scores of canoes, kayaks, rowboats and stand up paddle boards. 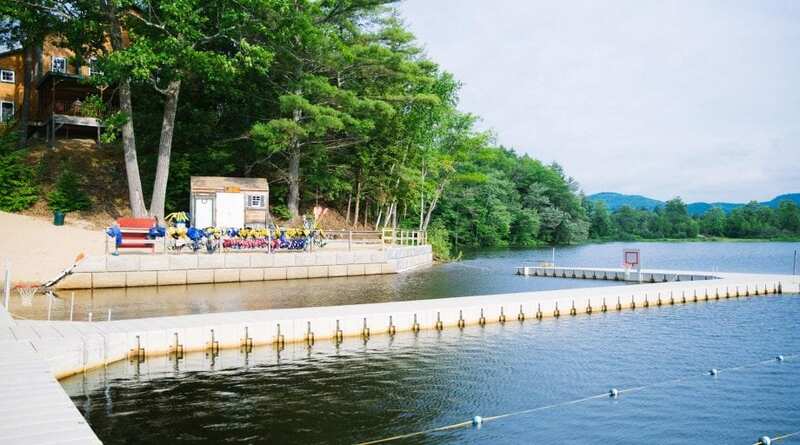 For campers looking for a little more adventure our talented ski instructors also teach waterskiing, tubing, and knee & wakeboarding. A variety of available tools make these activities available to everyone from children who are trying it for their first time to seasoned veterans. Our 500-seat theater pavilion is home to our stars of the stage! Throughout the summer our community joins together to watch and cheer productions put on by different age groups of campers. Our theater is also where we sing along with visiting performers, watch movies, and gather each Friday for a short Shabbat service. Visual arts are a major aspect of the Kenwood and Evergreen program. We offer instruction in digital photography, ceramics, arts & crafts, furniture building, cooking and movie making. Recently opened studios offer plenty of space for photography, movie making, and ceramics – where we now have five potters wheels and almost 400 clay molds. This past summer, our campers participated in the 11th Annual Kenwood & Evergreen Film Festival. Campers made more than 50 short films, in genres ranging from comedies to action films to documentaries to Lego animation. Our moviemaking studio now includes high-definition video cameras, computers for editing, and a green screen so that campers can dream even bigger, creating short films that include complex special effects. View an amazing short film made by our campers. Music brings a rich texture to life and is essential for creativity. In our amplified and acoustic music studios, campers can try playing an instrument for the first time or perfect prior experience. Instruments like acoustic and electric guitars, drums, keyboards and of course, amplifiers, help anyone discover their own unique sound. Campers can take a lesson with our music instructors, learn a new song, form a rock band or even record a song to put on their iPod. Our camp kitchen is peanut-free, tree nut-free, and sesame-free, so every camper can enjoy a meal without stress. The kitchen staff produces delicious and nutritious meals (including gluten-free, egg-free and dairy-free), keeps the salad bars stocked with fresh fruit and vegetables, and makes us homemade cakes when someone has a birthday. Visit our Food Allergy section for more information on the accommodations that can be made for your child. Before breakfast and dinner, all campers and staff gather in the assembly area adjacent to the dining hall. As one big family we share in the triumphs of each age group and salute notable individual achievements – and, of course, sing to any birthday boy or girl. Camp has a housekeeping team that works hard to keep Camp clean all summer. Campers drop off their laundry once a week, where it is washed, folded, and returned to them. The housekeeping team cleans and disinfects our bunks and bathrooms every other day, while our campers and counselors are responsible for keeping them neat and tidy. Our Health Center is a well-stocked, well-staffed little medical facility, with a doctor and nurses always on campus 24/7. We have a great relationship with our local hospital, New London Hospital, which is about 8 miles from campus.